← I’m back. Did you miss me? Due to the holidays and my busy January, I am horribly behind on the reviews I promised to write. So for the next few weeks, I will be posting a few at a time until I can catch up. I apologize to the authors for not doing these on a timely basis. What happens when the matchmaker finds a match for herself?Charlotte Rose Hill has been serving up country delicacies, uniquely blended teas, and matchmaking advice for her quirky but beloved customers for more than 10 years. But for her, marriage seems like an elusive butterfly, always out of reach. At 18, Charlotte fell in love with a young man, Sam Wilder, but his family convinced her to walk away from their relationship. She did, and then became engaged to another man, who later died before they were married. Now, more than a decade later, Charlotte finds that she still has feelings for her first love. 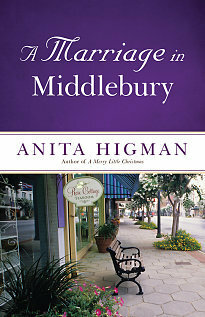 Initially thrilled to learn that Sam has come home to Middlebury, Texas, Charlotte is devastated to learn that he’s brought someone with him: his fiancée. But all is not lost when the townsfolk decide to get involved. Will Charlotte and Sam find their way back to each other? 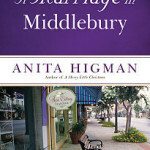 A Marriage in Middlebury by Anita Higman was an interesting novel. 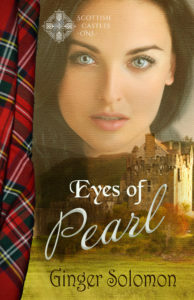 I enjoyed the story and the writing was excellent and easy to follow. The characters came to life on the page. I wanted to know how Charlotte got her happily-ever-after, since she’d had a hand at providing it for several others. I loved Meredith’s quirkiness. It made me smile. With no other options, Christina is forced to approach Levi Jonnson, a reclusive mill owner, to take in a young blind boy named Tommy Kilgore. Levi agrees with reluctance but finds himself surprised by the bond that quickly grows between him and Tommy. As obstacles to repairing the farm pile up against Christina, she begins to question her leadership ability and wonders if she can fulfill the mission to which she’s dedicated her life. And when an old adversary challenges Christina, will she find an unlikely ally—or more—in the aloof Levi? Can Levi reconcile with the rejection that led to his hermit-like existence and open his heart and life to something more, especially a relationship with a loving God? 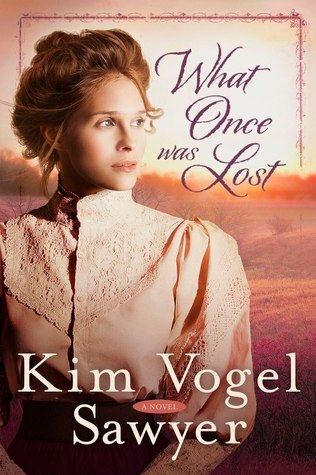 What Once Was Lost by Kim Vogel Sawyer is a touching novel. It reminds us that sometimes we think we’re doing a good thing for the right reason, but it’s not always true. The characters were well-written, allowing me to identify with their struggles and, in the end, their triumphs. I enjoyed this novel a great deal. In a world of fast-paced living and fly-by-night interpersonal ethics, Eternity exposes the lies behind relationships based solely on physical attraction. Aaron Foster thought he had the perfect life until his fiancée walked out their door and then back in with his new roommate. In desperation, Aaron and his best friend, Harmony Jordan, devise The Plan, but when The Plan succeeds beyond their wildest expectations, it could spell heartache for them all. 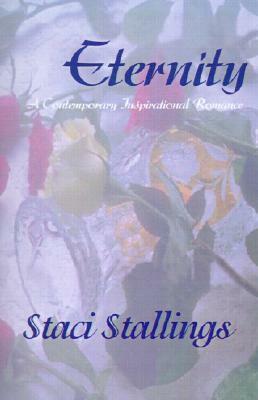 I enjoyed Eternity by Staci Stallings. It was realistic and heart-warming. Staci did a good job expressing the reality that heartbreak fades with time. My biggest complaint was the amount of errors, especially in the first few chapters. It’s still a good enough story that after a while you forget to pay attention to them. I hope you enjoy these first few reviews. More to come next week.